Time for another tantalizing peek at one of the stories from the upcoming SubCultures anthology: this time by the great Cara Bean (another brilliant cartoonist from the - ahem - Boston area). 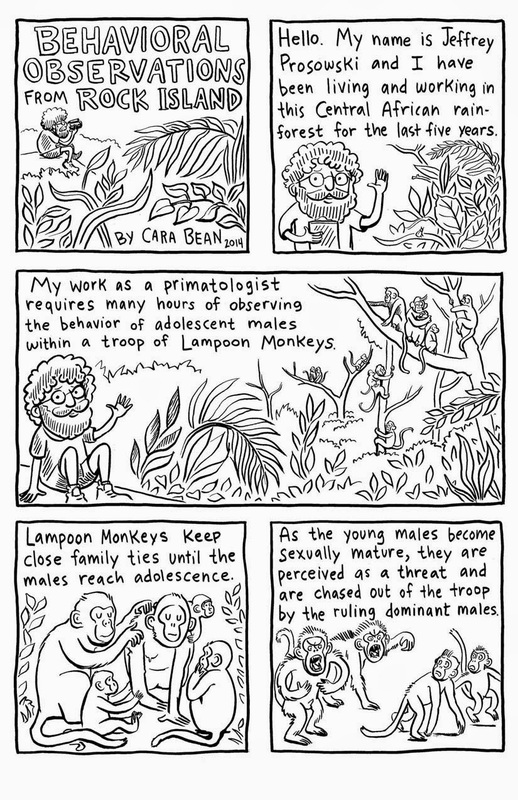 Cara has crafted a comic to remind us that we humans are not the only species with culture -- and subcultures! And if you're in NYC this weekend, don't forget to drop by MoCCA -- especially table B31-32! We will be unveiling for the first time - in postcard form - the dazzling SubCultures cover by Box Brown!